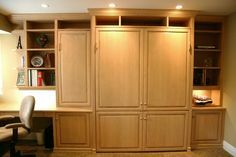 Way out west in the Chicago suburbs, Chicagoland Home Products digs into their bag of custom organization tricks and uses them to integrate unique storage solutions into this closet and dressing area. Nearly everywhere you look, think customization. 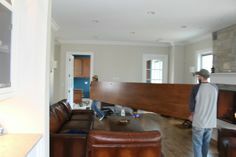 Look first at the flip up bench, flanked by triangular shelving on each end. If all that space for storage and display is not enough then check out where it is located, squarely in front of the window, with all that natural light to enjoy, while you slip on shoes from the glass shelves right next to it. Continuity comes from the see-through shelving which keeps the design theme of the wall paper alive. 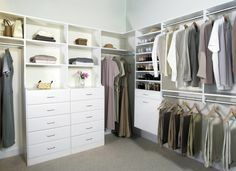 The adjacent cubby-style shelving provides more room to house folding clothing or other items. 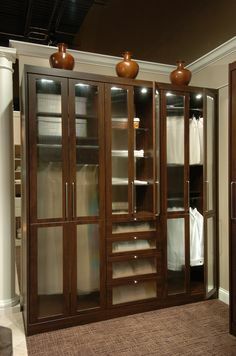 The glass shelf theme is reprised, at the end of the cubbies, where it is tucked in neatly, at an angle that keeps it out of the way as the door opens. 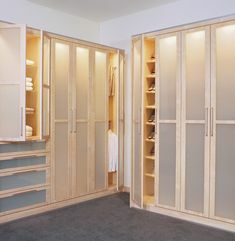 There is ample room for hanging clothes, illuminated by LED in-system lighting, and shoe shelving flanked on the left by mirrors and inset drawers. 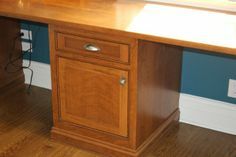 All of this surrounds free standing drawers with a perfect top for folding. 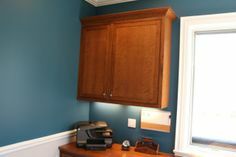 It’s enough to make you dizzy with delight at how all the Aria finish materials spin together under the creative baton of Chicagoland Home Products to design a practical and attractive space. CHP does this and so much more. 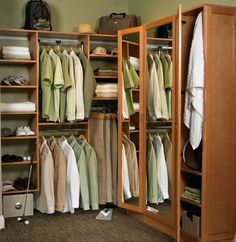 Call or email them today and begin creating just the right thing for your closet, basement, garage or other space that calls for storage.